Dr. Kota spends time going thru reports and listens to patients patiently. He then checks the patients. After his evaluation,advises further treatment in a detailed manner. He goes through latest procedures and recommendations published in medical journals. I am benefited tremendously. A few years back I was diagnosed as suspected TIA and was hospitalized for a few days. Just around this time last year, I was on medication for High BP, Cholesterol and Thyroid. Now I am free of all medication and have lost more than 20 lbs. I am a very senior citizen (76 years old). I am proud to say, I was able to achieve all healthy markers and better health with guidance and support from Dr. Kota. Dr. Kota spends time going thru reports and listens to patients patiently. He then checks the patients. After his evaluation, advises further treatment in a detailed manner. He goesthrough latest procedures and recommendations published in medical journals. I am benefited tremendously. A few years back I was diagnosed as suspected TIA and was hospitalized for a few days. Just around this time last year, I was on medication for High BP, Cholesterol and Thyroid. Now I am free of all medication and have lost more than 20 lbs. I am a very senior citizen (76 years old). I am proud to say, I was able to achieve all healthy markers and better health with guidance and support from Dr. Kota. Been seeing Dr Kota for 15+years. He always explains the "why" he is doing, thinking, diagnosing, your problem so that youunderstand. He explains in layman words and talks at you and not down to you. Been seeing Dr Kota for 15+years. He always explains the "why" he is doing, thinking, diagnosing, your problem so that you understand. He explains in layman words and talks at youand not down to you. Don’t waste your time, find somewhere else, these people don’t care. He listens to you very closely as to why you are there. He explained every clearly. I trust him so much and his professional opinion. Excellent doctor. I would recommend him to everyone I know. Dr. Kota appears to practice what he preaches. "Good Health." He is direct and passionate about getting to the root of health issues. The 'bandaid' method does not heal. Some of the labs that he recommends are covered under my insurance,but other labs that offer more in depth health analysis requires additional out-of-pocket cost. 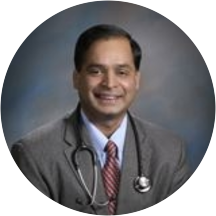 Dr. Kota"s health approach, holds the patient accountable to the success of better health. Great up beat attitude and went over my blood test results. Set up next appointment right away. Dr Kota is always spends time listening to my issues and explaining the plan of care. He extremely caring and competent. The staff is pleasant and helpful. Dr. Kota is as amiable and friendly a person as you'll ever meet. He is truly interested in your overall health as a path to a long and enjoyable life and will come across as more of a concerned uncle thana doctor. It's no wonder that patients remain loyal to him for many, many years. Dr Kota is in favor of lowering taking pills, he believes in natural medicine. I like that. Visits are a little hurried. Staff is great. Very professional and super informative. Definitely recommend to anyone looking for a possible way of treating medical conditions with medication and a focus on removal of medications. The doctor and staff always nice and professional ! Love the service. If you have medical health insurance by government like medicaid you will be treated a lot differently. So basically doctor does not give you much importance nor time and tries to get off his shoulder quickly. Greedy for money, would notshare simple blood results until you make another appointment so that he can charge again. Dr Kota and his staff is friendly and caring. Always enjoy the visit. Dr. Kota is a very good listener and always likes to start with the natural methods and vitamins first before anything which is appreciated because it shows he cares for our well being apart from the medications we need if be. Great at communication and interacting. Dr. Kota spends time with you and listens to everything you have to say. Very compassionate and thorough. Fantastic appointment. I showed up early and within 5 minutes I was in the patient room. Now that's fast. I love Dr Kota but the Dr. who interviewed us first did not introduce himself also he should realize with seniors he needs to speak to us and not into his computer (many of us can't hear), otherwise he did anice job. He recommended a test for strepthroat. I agreed but I failed to ask him the possible cost. Dr. kota is the best! This was my first appointment with him but he seems to be the kind of Functional Medicine practitioner that I am seeking who will treat the cause of my medical issues instead of just treating the symptoms. He is an MDwho can use pharmaceuticals where needed but who knows that lifestyle and dietary treatments can effect a cure better than most pharmaceutical drugs. Excellent doctor very compassionate and excellent support staff. I am very pleased with the care that I am receiving. As usual, always a very good experience. Wonderful doctor! Had a reassuring visit, typically an a little nervous at the dr's office but Dr Kota put my mind at ease with his manner. Dr. Kota is extremely unprofessional. He had two interns present in the room during our visit in which I simply needed a prescription refill. He proceeded to tell me I should see his assistant for women wellness visits (as opposed tomy long standing OBGYN whom I love), and since my comment that I was happy with my OBGYN, he proceeded to ignore me while I was speaking to address the interns and tell them that my use of the word 'inconvenience' (when coming in for a second unnecessary visit when I already like my OBGYN) should not be tolerated. As if he needs to decide who I chose for my wellness concerns. His attitude started after that, and he ended up abruptably leaving the room when I merely questioned a prescription, and he left the interns unattended with me staring at the wall blankly. I had been a 10+ year long time patient of this office (luckily mostly seeing Rachel), and have been to other offices in my past - and I have never received the type of unsatisfactory, unprofessional, child like manner from a physician in my life. I had to have the interns cancel my Rx order (that Dr. Kota did not even complete as my insurance has specific requirements) and I advised the interns to find a better practice to learn from, and to inform Dr. Kota that due to his attitude and poor bedside manner, he has lost a patient. I will never utilize this office again. Both Dr. Kota and Dr. Rachel and all their staff were wonderful. A pleasure to be their patient. Dr. Kota never rushes me, listens attentively and is always concerned with my health and life. He is very caring to myself and my spouse and I feel he is a friend and cannot imagine a better Dr. He actually visitedmy husband when he was sent immediately to the ER for an appendectomy. We were set up for the ER and a top surgeon all because of him and he visited at 10:30pm to check on him. I Love him. So personable...he will be my doctor till the day I die. He would not help me with my anxiety, depression, ADHD, even though I brought my bottles and have been On the meds for the last 8 years. 2 of them are controlled substance was the excuse. Waste of time. Also receptionistwho answers the phone is rude, inexperienced, and cares more about your insurance ID number than your freaking name ! I had a great visit. Everyone that I encountered had a great attitude and was very professional. I like the doctor better that my personal physician. He made me feel very comfortable and was easy to talk to. He gave excellent health tips on maintaining good health. He is very keen in understanding patients issues and gives the best medication. He asks for several details from patients to know more about the issue and take cares very well. He was very attentive and took the time to sit and get to know me as a new patient asking me questions and reviewing my health history. He was understanding and reassuring about what I need it to do to get back on track on staying healthy. It was good. He had interns in the office who are working on their degree. He took care of my needs and this is always a friendly enviroment. Will be back on tuesday for follow up. Dr. asked the right question and able to understand my issue and listen to my explanation carefully and physical exam all the possibility for problems causes. Very knowledgeable. Everyone makes you feel welcome. Very courteous Staff. We met with arnp. Loved her!